Catseyesoup's releases can be found right here in our store or at fine music establishments like iTunes, Amazon Music and CD Baby. 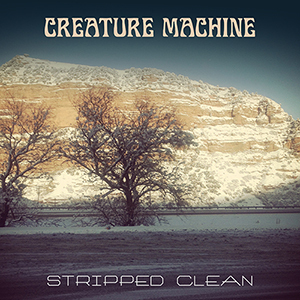 The new ablum by retro rockers Creature Machine. With the addition of Vinny Falkowski (Roadhorse) on drums they ride on a new thunderous sound. A newly recorded version of fan favorite Tiny Pieces of Little Wounds is featured.